“Bakers rejoice! 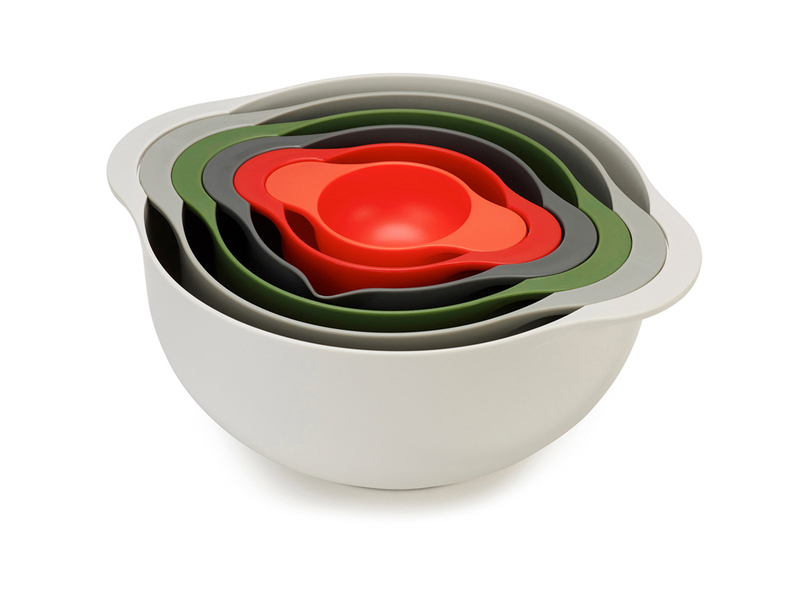 This Joseph Joseph Duo 6-piece Bowl Set is perfect for a busy kitchen. 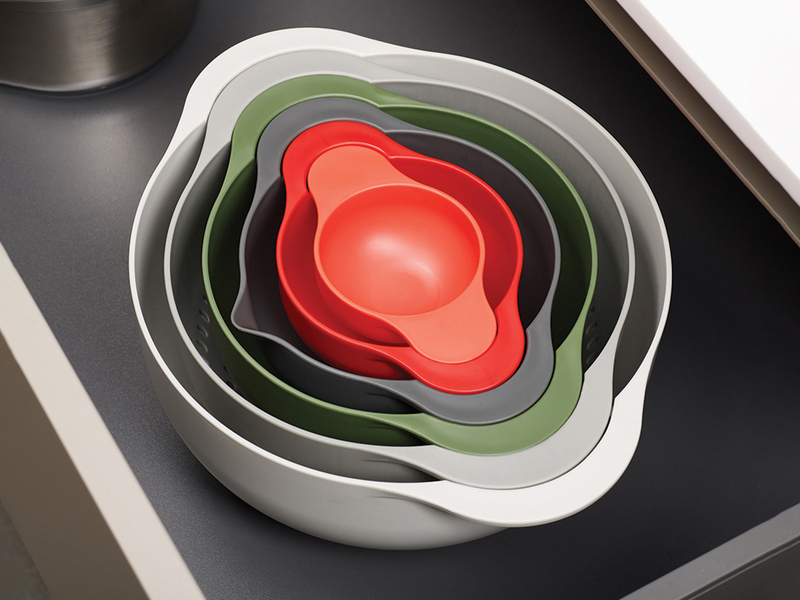 You get a trio of mixing bowls, (in 0.4, 1.8 and 5 litre sizes) with the largest boasting a non-slip base to ensure no slippage as you mix, whip and fold. The pair of preparation bowls (in 0.15 and 1 litre sizes) are great for whipping up sauces and the handy spout on the 1 litre bowl makes serving your creation easy. A handy 3-litre colander is even included in the set – for draining rice, pasta, and veggies.